Pfc. Homer (Billy) W. Qualls, son of Mr. and Mrs. Homer B. Qualls, graduated from Davidson High School; husband of the former Maxine Mitchell. Entered Army in Jan., 1942, trained in Camp Roberts, Cal., and Camp Shelby, Miss. 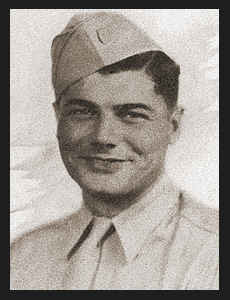 ; served in the Aleutians, England, France, Belgium and Germany; was discharged in Sept., 1945. Awarded Good Conduct Medal, Combat Inf. Badge, Asiatic Pacific Ribbon, ETO Ribbon, Am. Theatre Ribbon.